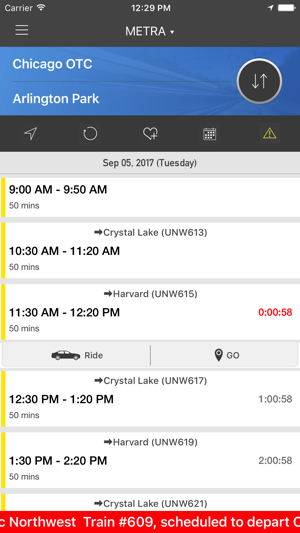 Live train schedules and more. This is quite possibly the sh****est app I’ve ever used. 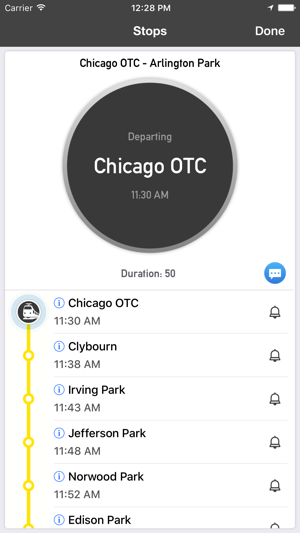 I ride the “L” 4 times a day and heavily rely on the app to know when trains are arriving, even though it’s half accurate at times. I can say on a consistent basis it either A) never opens B) opens, loading sign swirls around then boots you out, or C) open, loads the wrong station, then shuts down after switching to correct station. I tried the free version of the app, kept it updated (which they rarely put out updates to fix bugs) so I then paid for the 4.99 yearly subscription when the free quit working, after doing so it’s not even opening!!! I have attempted multiple times today alone to use this crap-tastic app and can’t even get it to stay open long enough to try and load the schedule!! 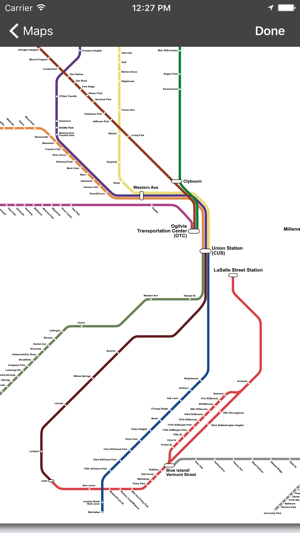 Save yourself the time and just go to the CTA website for train times!! I honestly haven’t made use of any of the additional features of this app at all yet, so I can’t expertly speak on them. 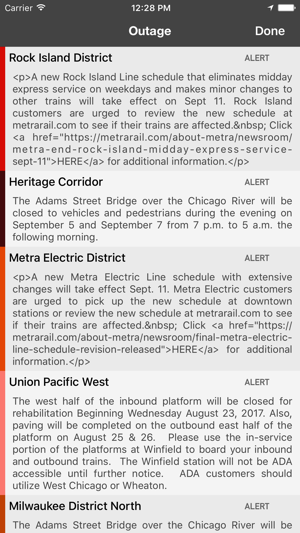 So far, the train info that I’ve looked up has always been accurate, is more reliable than Metra’s own website, which has several times given me incorrect info on weekends, and I love the little countdown feature. Super useful! I entered Elmhurst to Lombard. Got on the train. It passes Lombard. I’m waiting by the door for the next stop, next to the Metra guy. I figured I would let him know that the Metra app has some incorrect info. He ended up charging me for going into the next zone (I had already paid to go to Lombard). I’m thinking “Sure man, I’ll take this joke as far as you wanna take it.” But he took my money, seconds before I got off to uber back home. I’m not blaming the app for that guy hating his life, which is why I still gave two stars.